This week will be notable for the Street, with more than 30 percent of the S&P 500 companies scheduled to report their quarterly earnings. 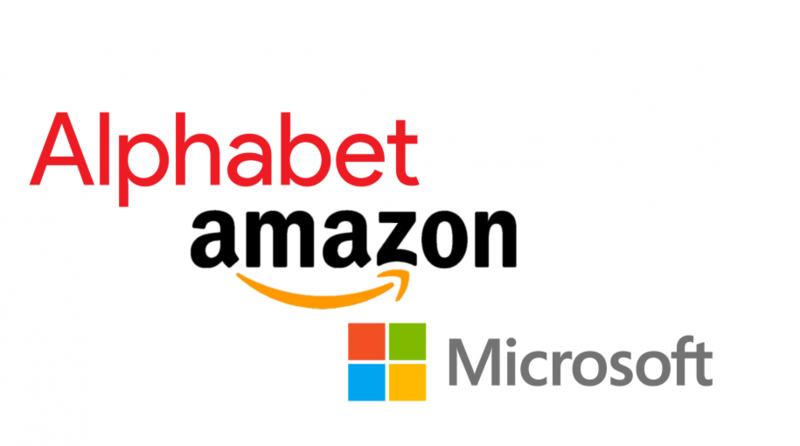 Much of the focus is centered around the reports of two “FAANG” companies—Google-parent Alphabet (GOOGL) and Amazon (AMZN), both of which are set to report on Thursday, October 25. Microsoft (MSFT) is also scheduled to report its quarterly earnings after the closing bell on Wednesday, October 24. Alphabet shares are up 10 percent over the past 12 months, underperforming competitors like Apple and Microsoft, which have seen their stocks increase roughly 40 percent in the same time period. In Alphabet’s most recent quarter, the company reported a revenue increase of 26 percent year over year, and analysts estimate a third quarter revenue of $34.04 billion, a 23 percent increase year over year. For Amazon, whose shares remain up 51 percent this year, consensus calls for earnings of $3.29. Last quarter, Amazon reported its biggest quarterly profit in company history, much of which was attributed to the company’s push for its cloud and advertising business. Results from this week will include revenue from the company’s Prime Day event in July, which may also give Amazon a notable bump. For more news and strategy, visit our current affairs category.